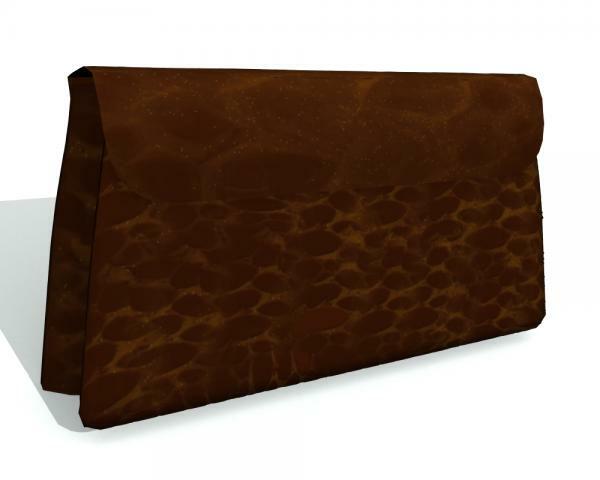 A simple clutch style alligator purse for Genesis. After a bit of joking around, on the DAZ forums, I threw this together. And I liked the way it turned out, so I decided to package it up...but I wanted to add a simple morph. Turned out not to be so simple...because I forgot to delete an extra, unscaled copy of the item, that threw off the poly count, which of course, meant the morph wouldn't load. It took me forever to figure out where the problem was. But, now it opens. The purse is not smart propped or anything and loads to the floor. It has a basic set of materials. Set up in DS4.5 for use in 4.5. Sorry. I may save out a cr2 version later, though. And as usual, free for commercial use, but if you do use it in something 'big' like a movie...I want a ticket! And no redistribution.